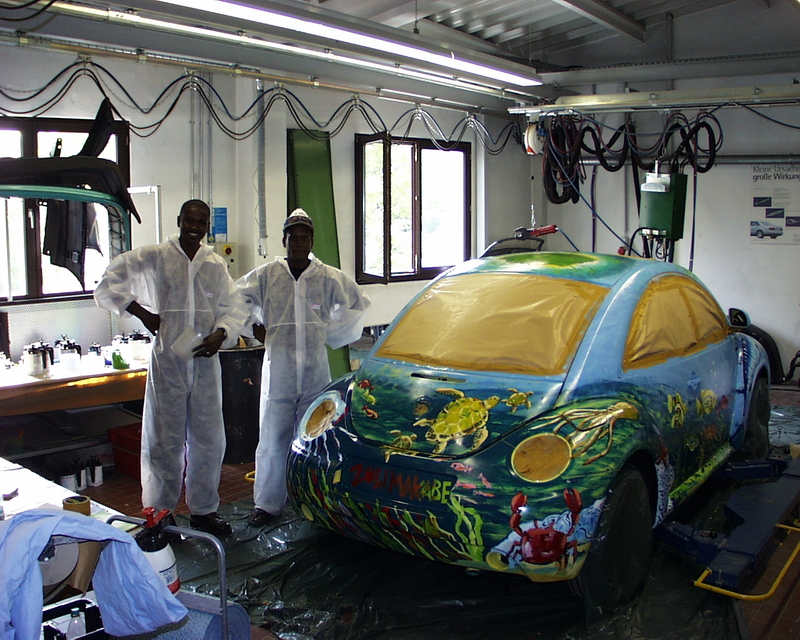 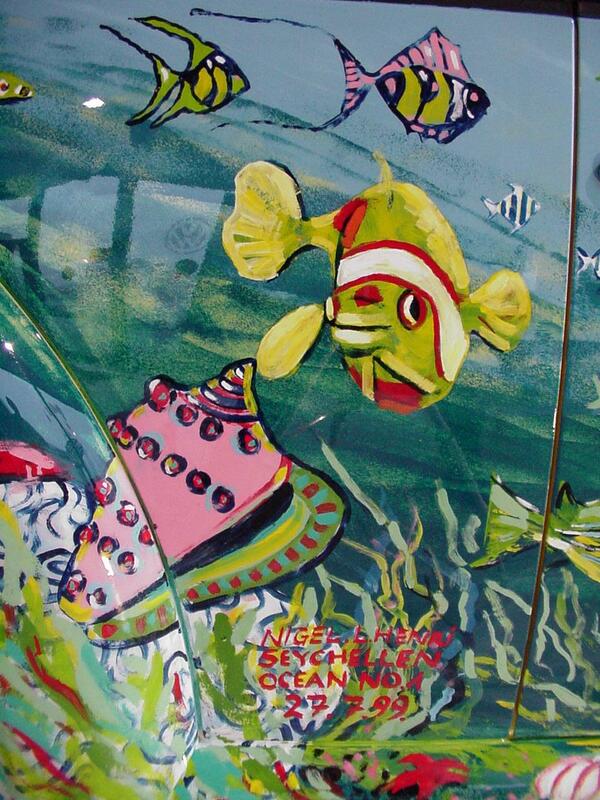 In summer 1999 Seychelles artists Nigel Henri and his assistent Charles (Charly) Dodo painted a wonderful underwater-world on a brand new VW New-Beetle. 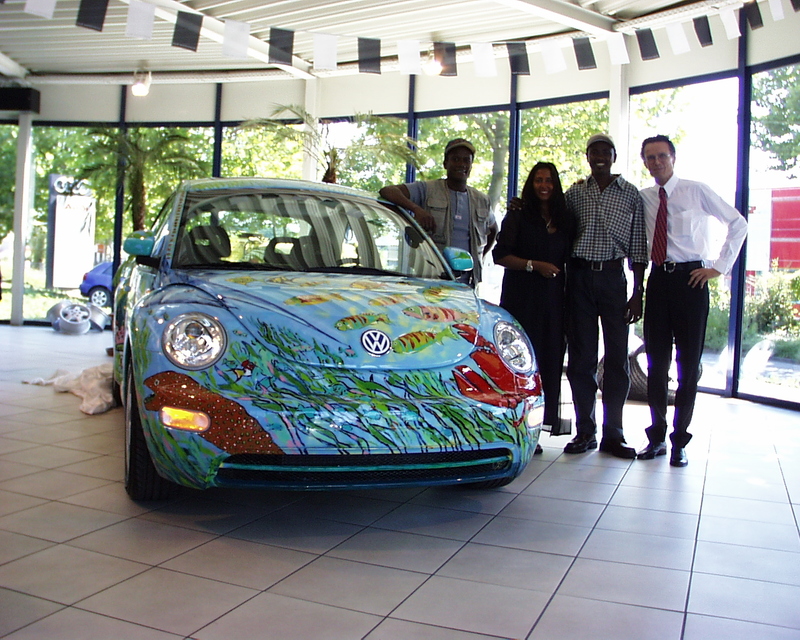 The car was sponsored from the Volkswagen-Company Wolfsburg/Germany for this unique event. 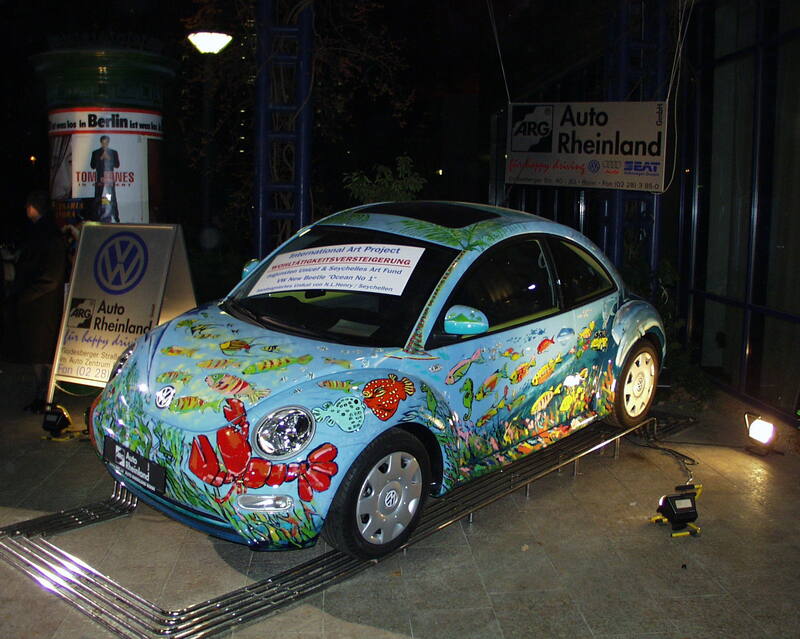 The event and the story-board based on an idea of the owner from the Galerie De Arte / Bonn-Germany and his company „International Art Project“. 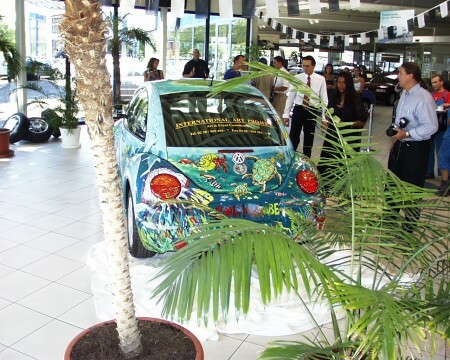 In July 1999 the outstanding painted VW New Beetle called „Ocean No 1“ was presented to the press in the rooms of ARG / Autohaus Rheinland – Bonn / Germany. The Seychelles were officially represented by Edith Hunzinger / European head of the Seychelles Tourist-Ministry and her husband Max Hunzinger /General Consul of the Seychelles / Germany. 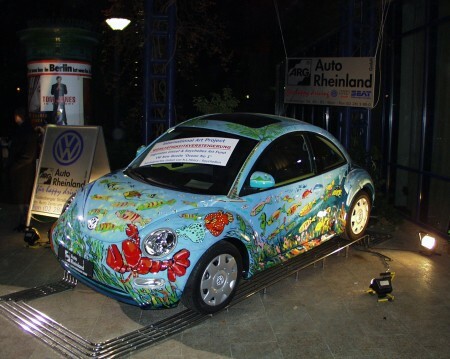 On the 02.Dec.2000 this car was offered on a welfare auction at the „Bundespresseball“ at the „Maritim-Hotel“ in Bonn / Germany.